Looking for a USED STEALTH 1365? 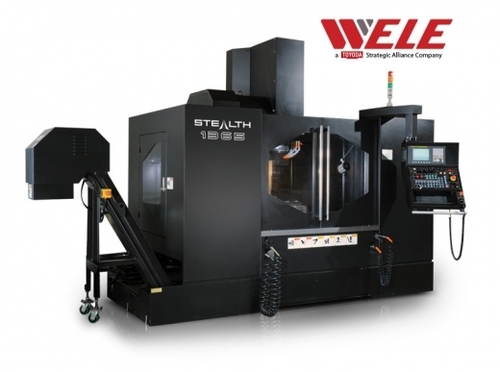 187" x 118" x 116"
The Stealth 1365 is a high-speed vertical machining center that features four Y-axis box guideways, a Meehanite cast iron base, and powerful drive motors on the X, Y and Z axes. Ideal for job shop applications, the Stealth is as efficient as it is accurate. Looking to Purchase a New WELE STEALTH 1365?